W. Maass (UK) Ltd Quality Management System was first established in December 1982 and has evolved through BS 5750 Part 2 and is today based on BS EN ISO 9001. The adopted system is three tier with a Quality Manual, associated Procedures Manual, and further supplemented with Working Procedures. W. Maass (UK) Ltd have a statement of policy which is an integral part of the Quality Manual. The Quality Manager and the Quality Department operate independently to production / process control departments. Controlled and uncontrolled copies of the Quality Manual are issued to customers when requested. The Procedure Manual is an internal controlled document and is not issued but can be viewed on request. All products are manufactured or supplied in accordance with the requirements of the customer’s purchase order and associated international and contractual specifications, the control of which is ensured through the W. Maass (UK) Ltd Quality Management System. Assessment of sub-suppliers, document control, manufacturing procedures and internal inspection procedures ensure that product conformity is guaranteed with or without the intervention of client or third party inspection. Accreditation is issued and monitored by Lloyds Register Quality Assurance. A copy of Certificate Approval No. 911052 is enclosed herewith: BS EN9001:2008 Certificate. W. Maass (UK) Ltd’s Quality Management System is accredited according to BS EN ISO 9001:2008 for the manufacturing of stainless steel and nickel alloy pipe flanges. Manufacturing of sub-sea flanges, bulkheads, anchor flanges, tube plates and swivel ring flanges. The supply of stainless steel, duplex and super duplex pipes and fittings. 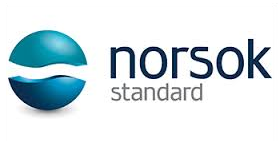 W. Maass (UK) Ltd are Norsok M650 Rev 3 approved for the manufacture of duplex stainless steel forgings, see attached Q.T.R. No. WM09513/01. W. Maass (UK) Ltd are also registered on the 1st Point Assessment database, Registration No. 10040255.